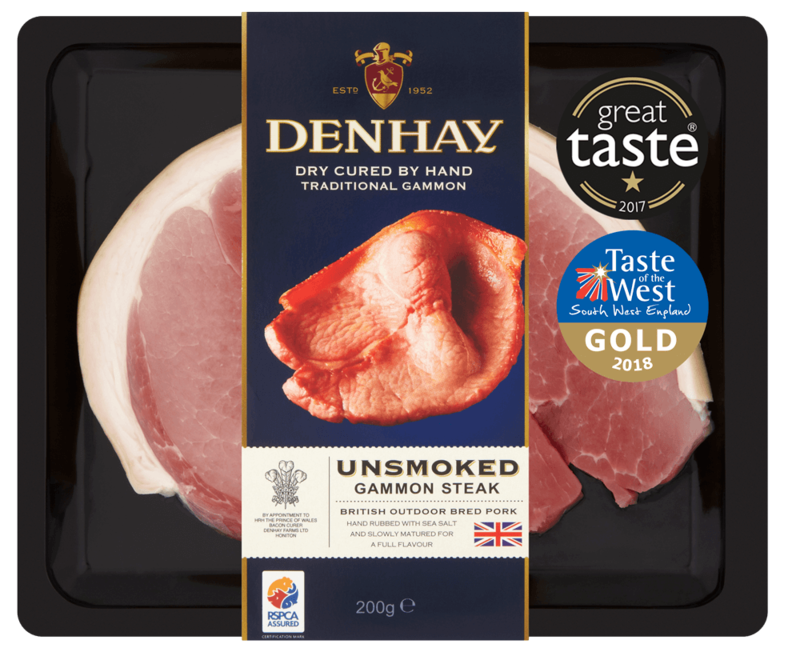 We only use fresh British outdoor bred pork to make Denhay gammon. Each joint is hand dry cured using our own special sea salt cure. 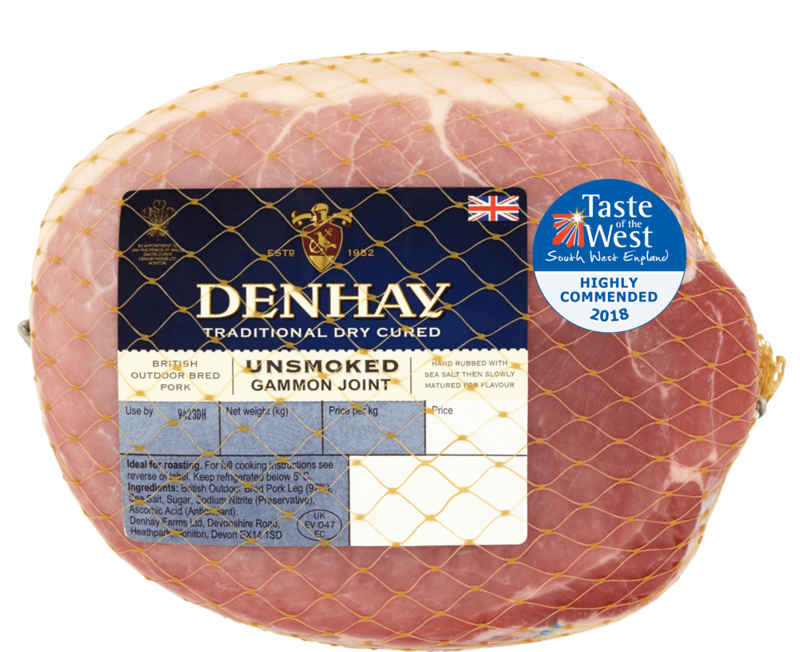 We allow the gammon to slowly mature before either slicing or packing into joints. Beech wood is used in the smoking process to add that distinctive smoky flavour. 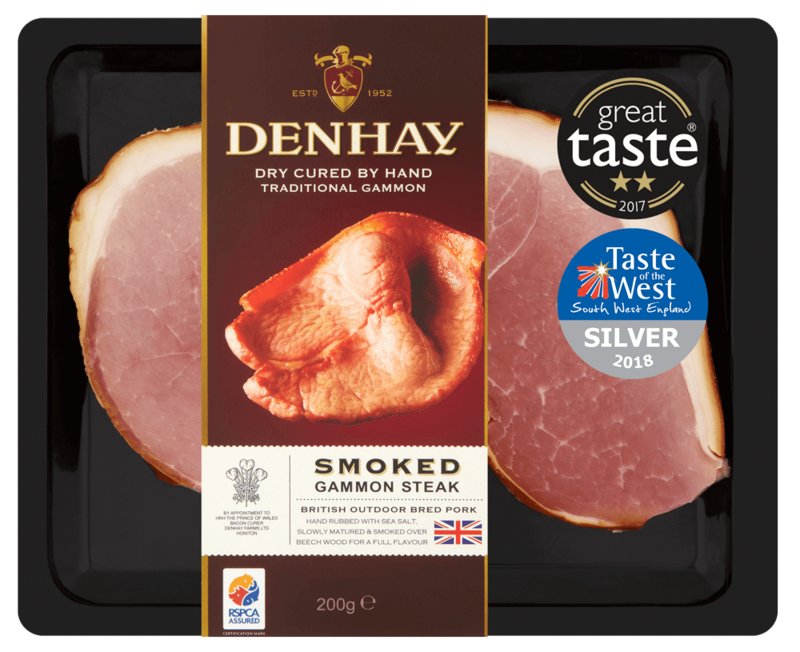 Both joints and sliced gammon are available smoked or unsmoked. Our dry curing technique involved a unique mixture of dry sea salt, nitirite and Vitamin C massaged into the pork which is then cured for between two and three weeks. The chosen joints are gently smoked over beech wood.